The Islamic State has claimed responsibility for the attack in Manchester. A 23-year-old man has been arrested in connection with the incident, according to police. 22 people are dead and more than 50 are injured, according to latest figures. Children are among the victims named so far, including an 8-year-old girl. Here are some pictures from the Manchester attack. A large explosion was reported earlier in the evening and British police confirmed that at least 22 killed and many other wounded at American singer Ariana Grande concert at Manchester Arena. UK officials treating Manchester Arena explosion as a terrorist incident. Click on the arrows on both sides to access the slideshow. 19 people are killed and at least 50 injured in an explosion at an Ariana Grande concert in Manchester Arena that is being treated as a terror attack. U.K. Prime Minister Theresa May is due to hold an emergency cabinet meeting this morning as authorities work to establish details and election campaigning is suspended. President Trump pushes for peace in the Middle East but goes off script in a speech in Israel denying Russian allegations that nobody asked about. No debt deal for Greece! 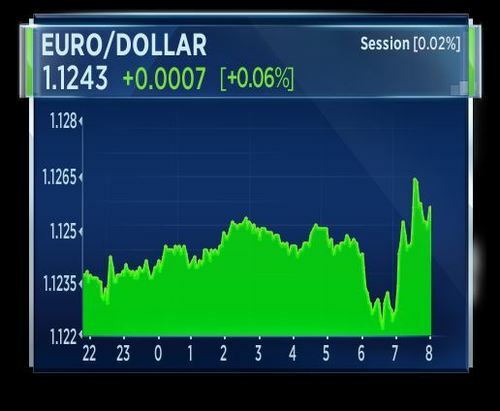 Euro Zone finance minister fail to agree on additional bailout funds for Athens following eight hours of talks in Brussels. All major UK political parties have agreed to suspend their general election campaigning in response to the Manchester terror attacks. Prime Minister Theresa May is due to chair a meeting of the Government's emergency Cobra committee at 8:00 local time, that's 09:00 CET. She has already issued a statement condemning what she described as an 'appalling terrorist attack'. 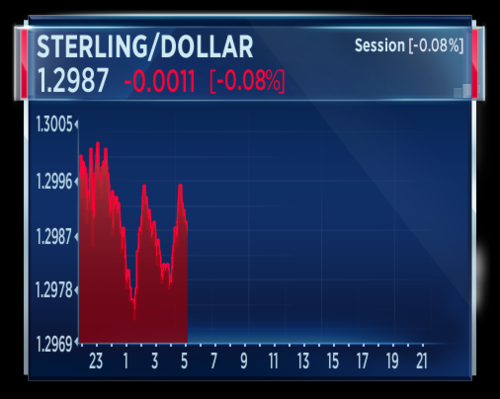 In terms of asset moves, gold took a slight bid following the news of a blast in Manchester but the shift in sterling has not been major. This is a short video of people fleeing shortly after the blast. The young woman who took the video has provided permission for us to reproduce. There has been no major flight to safety following the incident in Manchester. 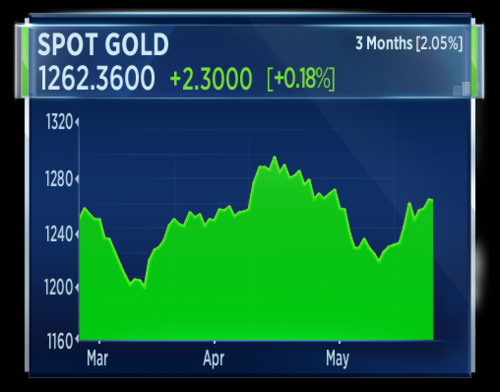 Gold has ticked up slightly in Asian trading. In the last few moments, U.K. Home Secretary Amber Rudd has reacted to the attack in Manchester. Click or tap play to hear what she had to say. It is now being widely reported that all U.K. parties are now set to suspend election campaigning until further notice. The U.K. general election will take place in a little over two weeks on June 8. 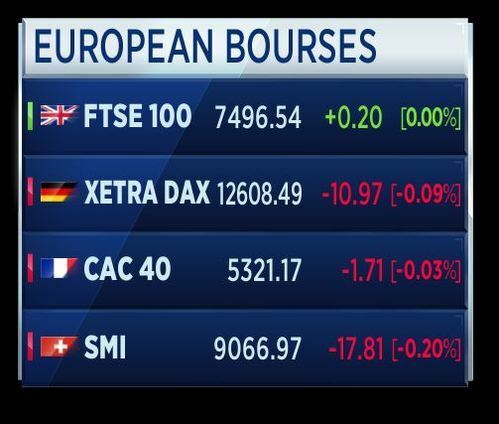 European bourses are expected to open mixed Tuesday as investors wake up to news of another terrorist incident in the U.K. and digest further political and economic turmoil in the euro zone. 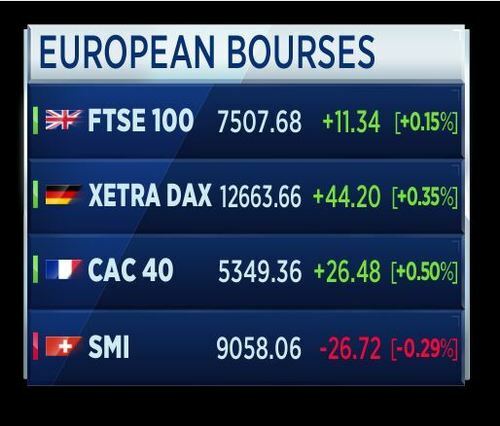 The FTSE 100 is seen up by 7 points at 7,502, the DAX is expected to open lower by 1 point at 12,620 and the CAC 40 is set to start down by 2 points at 5,323. Prior to the breaking news of the atrocity in Manchester, U.S. markets closed higher as President Donald Trump continued his first trip abroad since taking office. 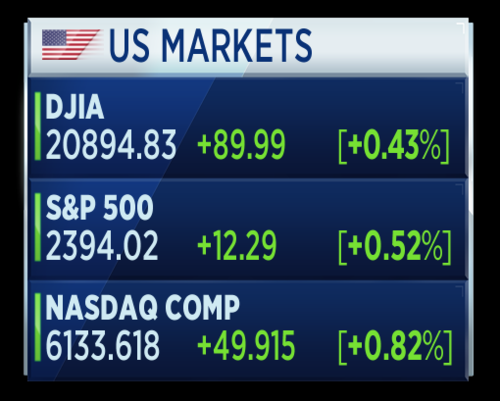 The Dow Jones industrial average advanced about 90 points, with Boeing and 3M contributing the most gains. The S&P 500 rose 0.5 percent, with information technology leading advancers. Tech has been the best-performing sector in the S&P this year, rising 18 percent. The Nasdaq composite outperformed, gaining 0.82 percent. At least 19 people have been killed and at least 50 injured in a bomb blast in Manchester. The suspected terrorist attack happened at the Manchester arena where pop star Ariana Grande had just finished a concert. It's the deadliest terror incident in the U.K. since 2005. "Currently we have 19 people confirmed to have died and around 50 people injured. The injured are being treated at six hospitals across Greater Manchester. My thoughts are with all those who have been affected and we are doing all we can to support them. "Officers from GMP and emergency services are working at the scene and are supporting those affected. We are co-ordinating the response from GMP headquarters. "An emergency number is available for those who are concerned about loved ones or anyone who may have been in the area. It is 0161 856 9400. "We are currently treating this as a terrorist incident until we know otherwise. We are working closely with the national counter terrorism policing network and UK intelligence partners. "This is clearly a concerning time for people but we are doing all we can working with local and national agencies to support those affected and gather information about what has happened tonight. As you will understand we are still receiving information and updates so will provide more details when we have a clearer picture. "I want to thank people for their support and would ask them to remain vigilant and if they have any concerns report them in confidence to us through on the Anti-Terrorist Hotline 0800 789321. It is important people avoid the area so that we can effectively deal with the incident. Just to catch you up on asset moves and the price of oil is moving south in session. Risks for a renewed surplus in global crude remain for late 2018 if OPEC and Russia raise production to capacity, says Goldman Sachs. In a recent report, the bank said the largest imbalance in the market is the potential for a surplus in 2018. 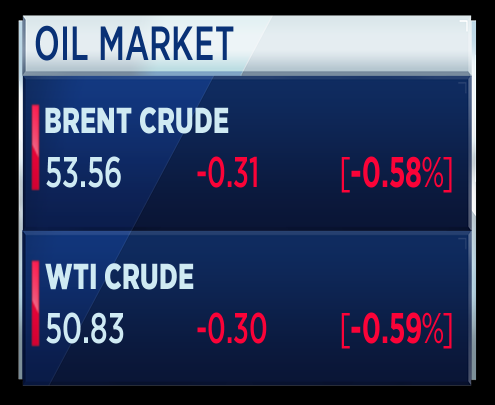 OPEC leaders will gather for a meeting on Thursday where the cartel is widely expected to extend the output cuts agreed in late 2016. 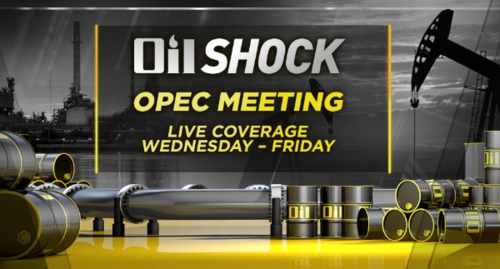 We will have full coverage of the OPEC meeting from Vienna this week, join us from Wednesday through to Friday. German first quarter growth has been confirmed at +0.6 percent quarter-on-quarter and +1.7 percent year-on-year. Manchester police's chief constable have given a fresh statement following the deadly attack last night. He has said his team has identified one individual, who died at the scene, that they believe had responsibility for the attack. He said it is unclear if the man seen as responsible for the attack was part of a wider network. Ian Hopkins also confirming that there are some children among the 22 dead. 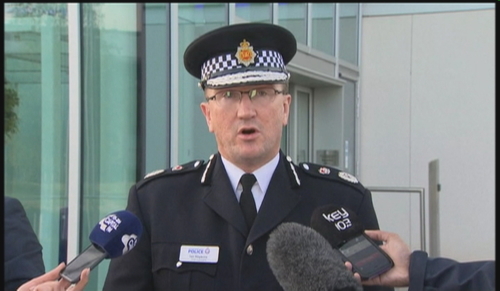 Greater Manchester Police Chief Constable Ian Hopkins. 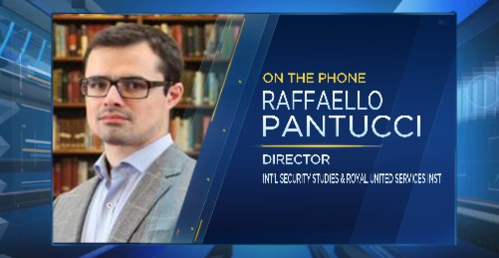 On air Raffaello Pantucci of RUSI says a functioning bomb is actually "quite a sophisticated device to make" and therefore it is particularly disturbing whenever such a device is successfully detonated. Pantucci says in most countries there is an assumption that attacks will happen in capital cities as that is the greatest political impact. However he notes that Manchester is not immune to the threat of such attacks, having been the victim of an IRA bomb in 1996. The security specialist says the short term priority will be to understand what has happened and to consider any follow up threat. The Mayor of Greater Manchester, Andy Burnham, is giving a press conference. He is thanking the security services and says the city will "as best as it can" conduct its business as usual. 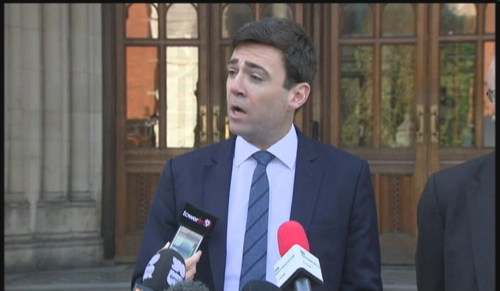 Burnham said he will be attending the upcoming emergency meeting with both Manchester's chief constable and the U.K. Prime Minister Theresa May. 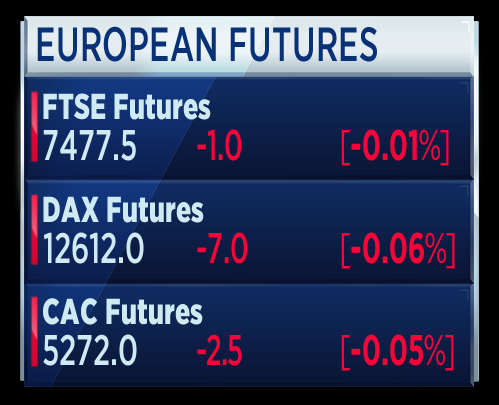 European equities open in around 20 minutes time and the futures market is indicating a flat open. London's Victoria coach station evacuated, Police cordon in place. Buckingham Palace Road in London and other roads around the coach station are closed too. That's according to Reuters citing BBC on Twitter. British Police are investigating a suspect package near London's Victoria coach station. Let's take a look at the best and the worst performing stocks this morning. 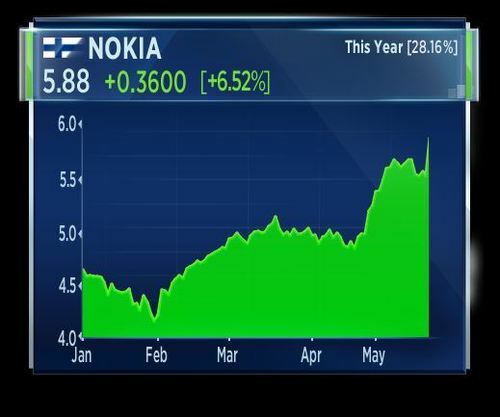 Nokia is up more than 6 percent, after news that Nokia And Apple sign patent license and Business collaboration agreement. 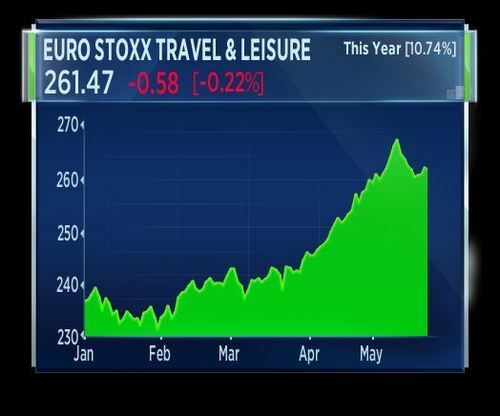 The pan-European Stoxx travel and leisure sector is trading 0.2 percent lower this morning after the suspected terrorist attack in Manchester killed 22 people. The French flash composite PMI has risen to 57.6 against a forecast 56.7. The service PMI rose to 58.0 , which far exceeds the forecast 56.5 and marks a six year high. The manufacturing element dropped to 54.0, providing the one fly in the ointment, although it is still an expansion. Megan Greene, Chief Economist at Manulife Financial says the data has looked great in France for some time and that the positive vibe will surround new president Emmanuel Macron for some time. Greene said Macron's agenda is "pretty ambitious and pro-business and he is likely to face push back from labor unions. PPG CEO McGarry says has never seen such hostility between shareholders and a company as with AkzoNobel. PPG remains interested in pursuing deal with AkzoNobel, the CEO said, adding that he wishes to pursue "consensually privately negotiated deal" with AkzoNobel. Will wait for May 29 court decision before deciding whether to file bidding papers for AkzoNobel, PPG CEO McGarry said. Switching gears to corporate news. Philips Lighting is celebrating the one year anniversary of its IPO. In that time the LED manufacturer has seen its stock rise by around 45 percent. This comes as the Dutch company announced plans to buy back over 1 million of its own shares in a bid to cover obligations arising from long-term share plans. When you wanted to emit light you had to burn something. That business is going down. And it is going down worldwide. On the other hand LED, you just need to excite an electronic component to emit light. And finally, we have the connectivity side of the business that LED is allowing. We can now power lights using ethernet. Imagine that. 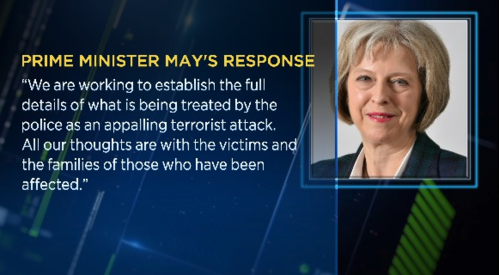 Germany's Merkel says suspected terrorist attack in Manchester will strengthen our resolve to fight despicable perpetrators together with out British friends. that's according to Reuters. 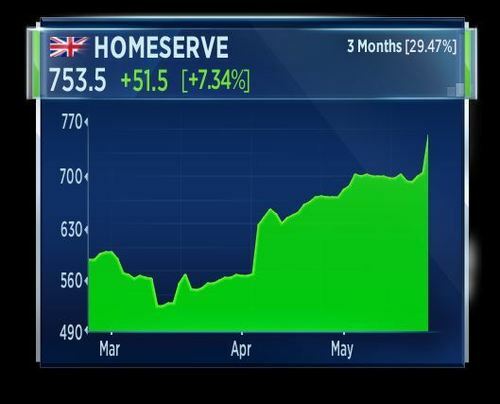 Homeserve is increasing its dividend to 11.2 pence per share. This as the British home emergency repairs business reported full year revenue of 785 million pounds. The firm said it expects to deliver around 15 million dollars in earnings this year. 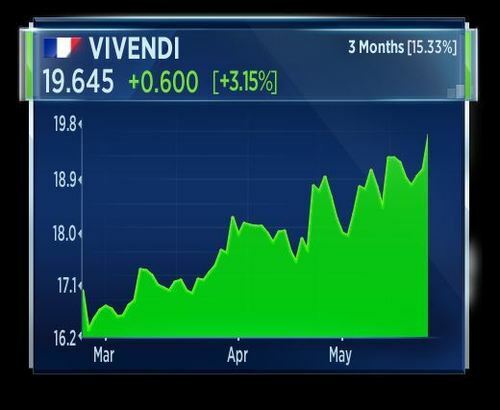 Vivendi shares are getting a boost after CEO Arnaud de Puyfontaine told the Wall Street Journal that the media giant is considering floating a minority stake in its music company. De Puyfontaine told the the Wall Street Journal there are no imminent IPO plans for the Universal Music Group but said "this is not a sacred cow." Just as a sidenote ... Ariana Grande is a Universal Music artist. The company tweeted this reaction last night. At least 22 people have been killed and around 50 injured in a bomb blast at Manchester arena in the deadliest terror attack in the UK in over a decade. U.K. Prime Minister Theresa May is due to hold an emergency cabinet meeting this morning as authorities work to establish details and election campaigning is suspended. U.K. Home Secretary Amber Rudd said the attack will not intimidate the people of Manchester. The stock market reaction to the incident is muted in early European trade, but UK travel and retail stocks underperform. Nokia shares hit their highest level in over a year after the company settles its patent dispute with Apple -- agreeing to a new collaboration with the tech giant. British police reopened London's Victoria Coach Station and the surrounding streets on Tuesday after earlier closing the area due to a suspect package. The reported suspect package at Victoria Coach Station has now been cleared. Not suspicious. Thanks for your patience, London's Metropolitan Police said on Twitter. The German flash composite PMI for May has come in at 57.3, bettering a Reuters forecast of 56.6. That reading is the highest since April 2011. Most strength coming from the manufacturing component which hit 59.4. Economists polled by Reuters had tipped 58.0. The services PMI figure came in at 55.2. 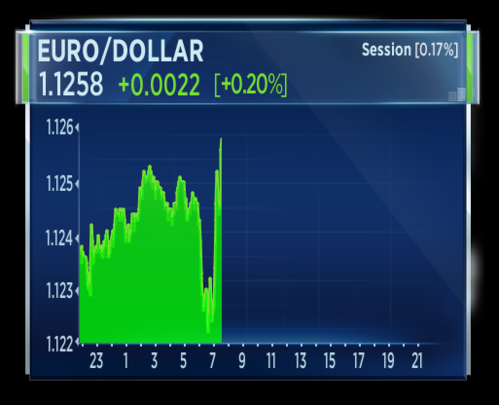 The euro has spiked 0.2 percent in reaction. 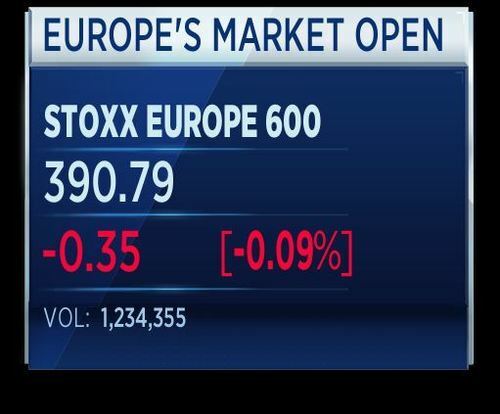 A little over thirty minutes since the start of the European trading session and stocks are back into positive. The stock market reaction to the incident is muted in early European trade, but UK travel and retail stocks under perform. It may have not been physical support, it may have been virtual. 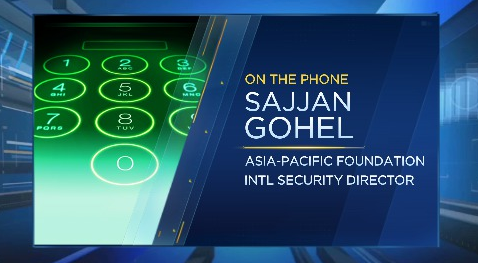 Sajjan Gohel is telling the Squawk Box Europe team that it is not certain that the attacker who died at the scene was acting completely alone. Gohel said the sophistication of modern day terror organizations could involve the use of long distance support via the internet. Gohel said the security services in the North West of England have been particularly nervous about a looming attack in places such as Manchester or Liverpool. He said police in the region had been doing drill in recent weeks to help react to such an incident as today. 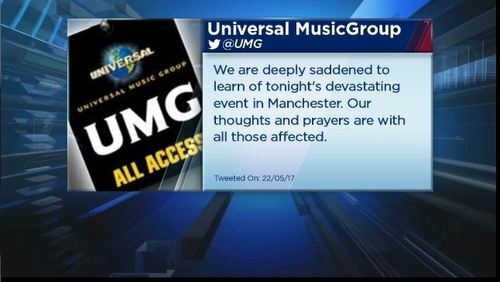 The leaders of Europe sent Britain offers of support and sympathy following the suicide bombing of a pop concert in Manchester overnight that killed 22 people, including children. EU chief Brexit negotiator Michel Barnier, who will launch talks with May's government next month, after Britain's June 8 election, to leave the EU, said there would be "support to the UK government in (the) fight against terrorism". Euro zone Finance Ministers failed to reach an agreement over Greece's debt relief and postponed the review of the country's bailout to next June. During an 8-hour long meeting, creditors discussed how to ease Greece's debt before the end of its rescue program. 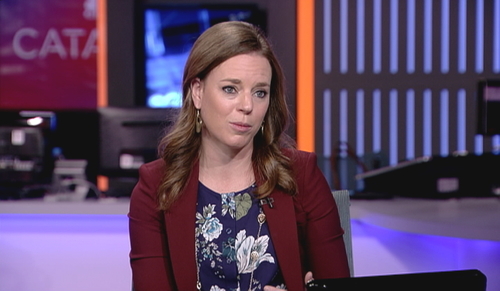 Megan Greene, Chief Economist at Manulife Financial doesn't see any deal coming soon. Greene says she thinks the IMF would be happy to walk away from any fresh loans to Greece as they have"nothing to lose". Russian President Vladimir Putin said he was ready to boost anti-terror cooperation with Britain in a condolence message to Prime Minister Theresa May over the "inhuman" attack in Manchester, the Kremlin said. We firmly condemn this cynical, inhuman crime. We expect that those behind it will not escape the punishment they deserve," Putin said in a statement published by the Kremlin. The Russian head of state confirmed his readiness to bolster anti-terrorism cooperation with our British partners, both on a bilateral basis and in the framework of broader international efforts. It's a very good result and it's broad based. We've got a good pace of growth here. The fact we have maintained this high level in May is great news for second quarter GDP, said Chris Williamson, chief business economist at IHS Markit. IFO and other indicators point to economic growth in Germany of 0.6 percent in Q2, that's according to Reuters. 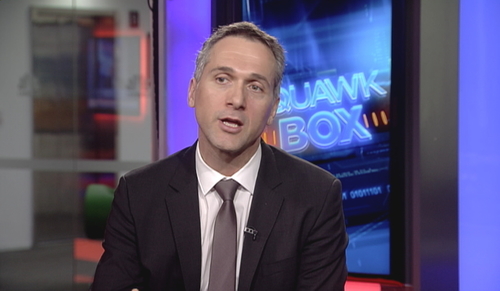 IFO economist says order inventories have grown, German companies want to export more. The economist says neither Brexit nor Trump policies have so far had concrete effects on the German economy. Macron election in France was a positive signal, giving a tailwind to EU, IFO economist says.